This sweet quilt is adorable for anyone and so fun to create! 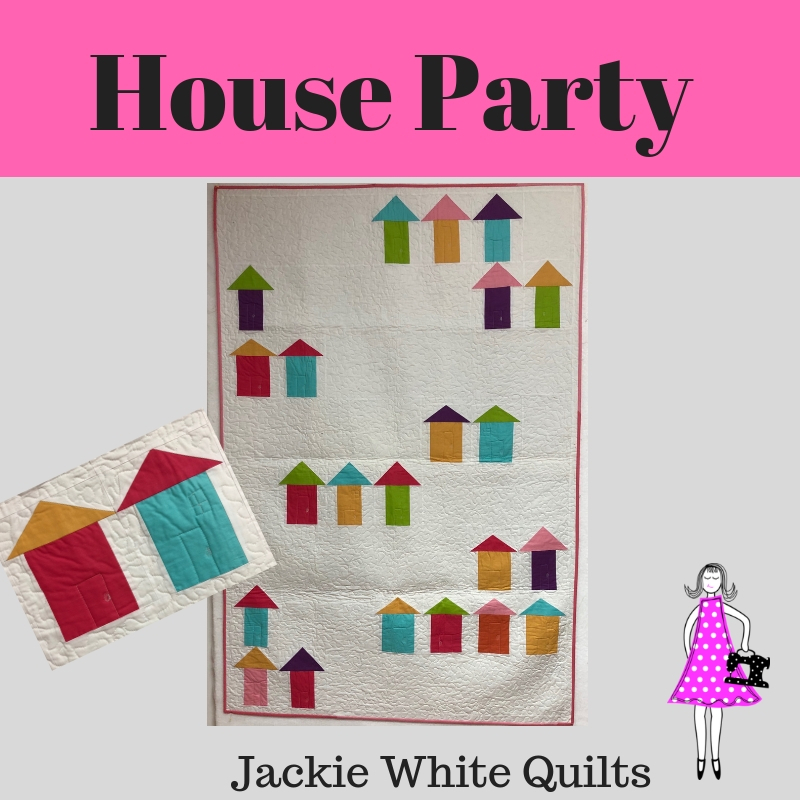 Using 2 house blocks that you mix and match to make your own House Party in your neighbourhood! This adorable quilt is exactly what is needed to brighten up a beautiful space! With modern colors and a sleek use of negative space, it adds just the right touch to a home! Using fun blocks to create litte houses, you can create your own neighbourhood house party!